Fifty years removed from its last Stanley Cup, the Toronto Leafs went all-in on gunning for a championship this year thanks to the signing of all-star center John Tavares. The Toronto native joins an impressive lineup of skill, with up-and-comers like Auston Matthews, Mitch Marner, and William Nylander (provided he and the team can agree on a contract) rounding out a formidable offensive lineup. According to EA Sports' season sim, this team has what it takes to make it to the top. 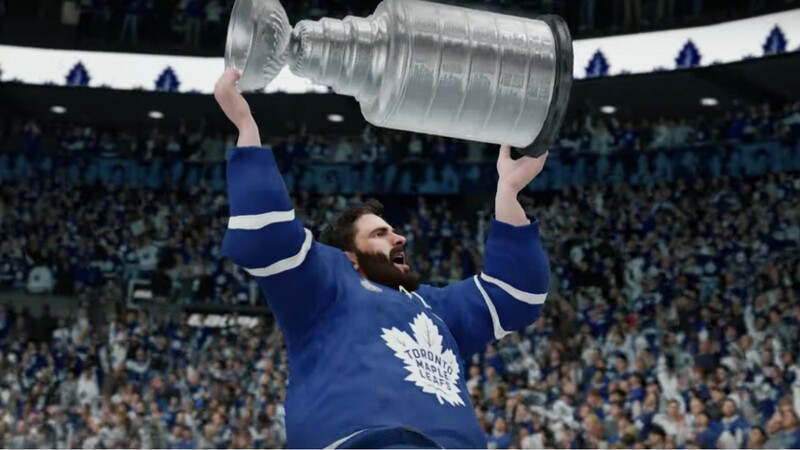 The NHL 19 simulation has the Leafs taking down the Erik Karlsson-led San Jose Sharks in a dramatic game seven on home ice. Last year's Stanley Cup champions, the Washington Capitals, fell into old form with a first-round exit. The season had a few other surprises, like the Buffalo Sabres making the playoffs for the first time since the 2010-11 season thanks to the contributions of Calder Memorial Trophy winner and last year's number one overall pick, Rasmus Dahlin. Who do you think hoists the cup this year? Share your thoughts in the comments section below.